Hi, My name is Kylie Forbes. 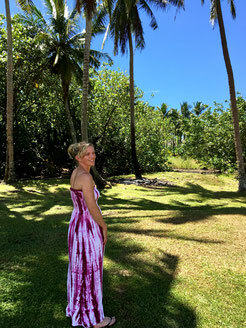 I'm from Australia and I've been visiting Rarotonga in the Cook Islands since 1993. Not a lot has changed over the past 25 years. It remains unspoiled. No high rise buildings and only a few flights each day so not a lot of tourists at any one time. It's the place I feel most at home, grounded and safe. You simply blend into the Island way of life which is a happy, slow paced and simple way of living. Life here is exactly how it should be. Coming here has changed my life. It's changed the way I see the world and it's changed the way I value life and everything in it. I don't want you to put it on your bucket list as something you want to do 'someday', when you can plan it now. I understand that most people dream about a holiday to locations like this but many things stop them or put it on hold for 'someday'. I want you all to experience the place I love the most. It's not an impossible holiday if you just know how and where to start. I've discovered and collected all of the best of the cheapest places to stay, things to do and places to eat that won't cost you a fortune. I want to tell everyone how it is possible to stop dreaming about having a hammock holiday in the South Pacific because you can when you have the info! When I say cheapest, I don't mean 'cheapest' in quality. It's taken many visits to find the BEST of the most affordable so you can experience a champagne holiday on a beer budget with great accommodation and information to save you money! Tick it off your bucket list and just go there, it's easier and cheaper than you think. allowing you to blend in and experience life just as the locals do. Accommodation is the biggest cost while on holiday and we can cut that back for you. so you don't go over your holiday budget. You can't do everything in one visit but you can experience the culture and life here without spending too much money. saving you money on another big cost of your holiday. You don't need to spend a lot on food as there are cheaper, even better places to eat local and international food while here. I'll also save you time so you're not going from one website to another finding all the information you need to have a great holiday. I've have done my best to include everything you'll need to know. If I have forgotten something, please 'contact me' here or via the website menu and I'll include any info I may have left out. I want everyone to find everything they need all in one website. 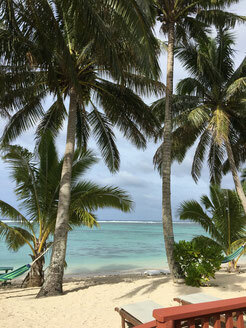 It's the cheapest way to stay on the island of Rarotonga, Cook Islands. Sharing all I know, about all you need to know, from arrival to departure. Have a look around the website. You'll find everything in the menu at the top of the page, or in the quick links below including articles in the Blog section for further reading. You'll save on all aspects of your visit, allowing you to enjoy the holiday you've always dreamed of, or by allowing you to stay longer. To get an idea what Rarotonga is like, read 'Island impressions' to see why this Island is a perfect holiday destination.